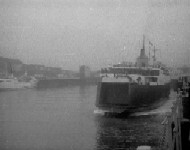 On Sunday 4th May 1969 the British Railways car ferry, Antrim Princess, brought visitors to the Isle of Man on a special charter. 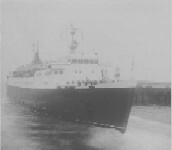 The previous June the Caledonian Princess made a similar voyage. 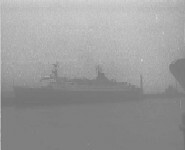 Interestingly, the Antrim Princess was later acquired by the Steam Packet and became Tynwald(6). 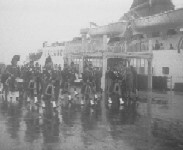 Below are photographs of the Antrim Princess at Douglas on that rainy Sunday. The quality is poor, but these snaps are nearly 35 years old.